Palmer’s poems can suggest multiverses, silent but spectrally there. Michael Palmer’s new book—a collection in two parts, “The Laughter of the Sphinx” and “Still (a cantata—or nada—for Sister Satan)”—contains 52 poems. Depending on the poem, the laughter here is by turns bitter, wistful even playful, but typically inflected by a sense of enigma. Returning again and again to songs and singing, to voices and voicelessness, Palmer continues to push the boundaries of poetry with dream songs that explore the place of poetry in a surreal world ‘where headless horseman sing/fevered songs/of self and war.’ Palmer writes with uncanny precision about this world, a world that this book finds to be as beautiful as it is violated, and his poetry often achieves an ecstatic pitch, but one in which pain is rarely absent. The music in these verses never exhausts itself […] Palmer recomposes the measures of poetic song for our time. 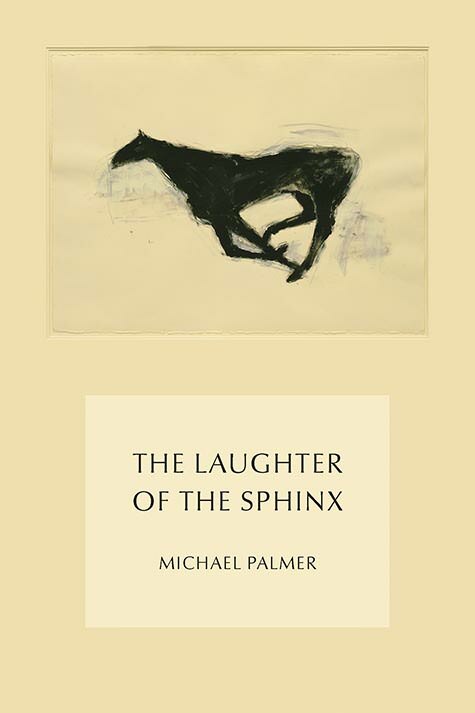 The Laughter of the Sphinx…manages to cut deep into the unknowable appeal of the best poetry, some of which Palmer can claim to have written. Palmer is among America’s most elegant—and abstract—heirs to modernist poetry. Even more than its music, it emanates silence. The most influential avant-gardist working, and perhaps the greatest poet of his generation. His genius is for making the world strange again. The foremost experimental poet of his generation, and perhaps of the last several generations. Magnificent … an astringent blend of surrealism and symbolism.